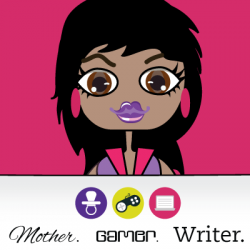 Originally Reviewed At: Mother/Gamer/WriterRating: 5 out of 5 ControllersReview Source: PublisherReviewer: AimeeKayI just finished Untimed by Andy Gavin. For some reason the pictures in between the chapters and the cover gave it a mid-grade feel, but I have to say it is definitely YA. I’ve seen the premise behind the story before, but Gavin was able to present it in a very unique and exciting way. I really adored the characters Gavin has created. I wasn’t too sure about either Charlie or Yvaine to begin with, but they eventually both won me over. I really liked his Aunt Sofie and Carrot too. In addition to the characters, I certainly enjoyed the world of time travelers he created and how all the events connected – especially the twists closer to the end of the novel. My biggest complaint (and this is more about personal preference) is about the novels POV. Honestly, I don’t like first person present. *shrug* Sorry it just annoys me. I’ve found that if I enjoy a book I don’t notice it as much – but every once in a while the POV is so distinct it kind of jars the flow of reading and the overall enjoyment of the novel. Untimed is a decent and unique enough story that I didn’t feel overwhelmed by the first person POV as much as I have in other novels in the past. This is saying something considering how much it really does get to me at times. 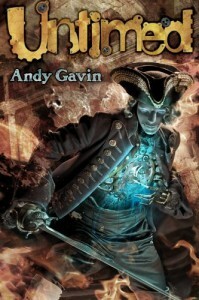 So BIG kudos to you Mr. Gavin for bringing something special and exceptional to the table with Untimed! Overall, I am excited to read the next book in this series. I can’t wait to see how certain things happen. The ending is a cliffie but more of a “let’s leave it obvious there’s going to be another book” instead of a straight drop off the edge. I’m giving this one 5 out of 5 controllers. Still don’t like the POV, but the story is amazing!